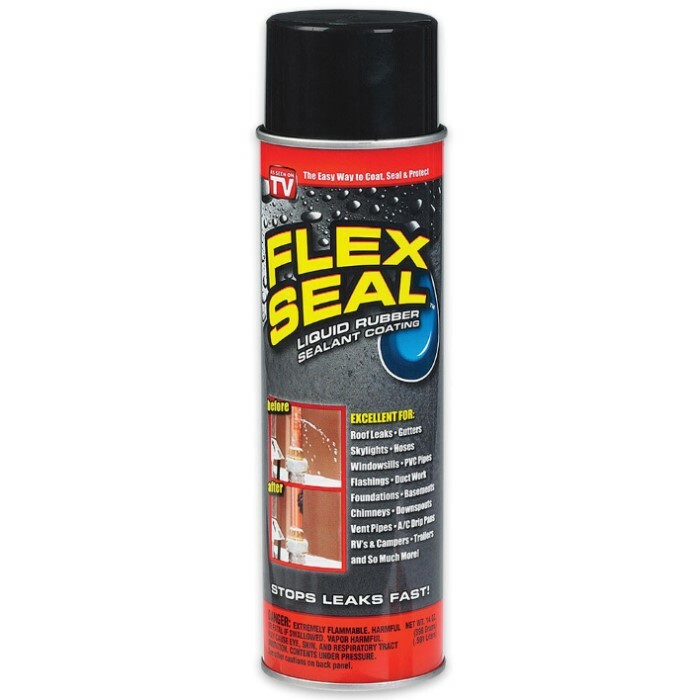 Flex Seal Black Coating - Aerosol Spray | BUDK.com - Knives & Swords At The Lowest Prices! Stop leaks fast with Flex Seal Black Coating, a liquid rubber sealant that is easy-to-use and portable. The black spray seeps into cracks and holes and dries to a watertight, flexible, rubberized coating that can be painted. It will stay flexible and pliable for years because it won’t sag or drip in the summer heat or crack or peel in the winter cold. 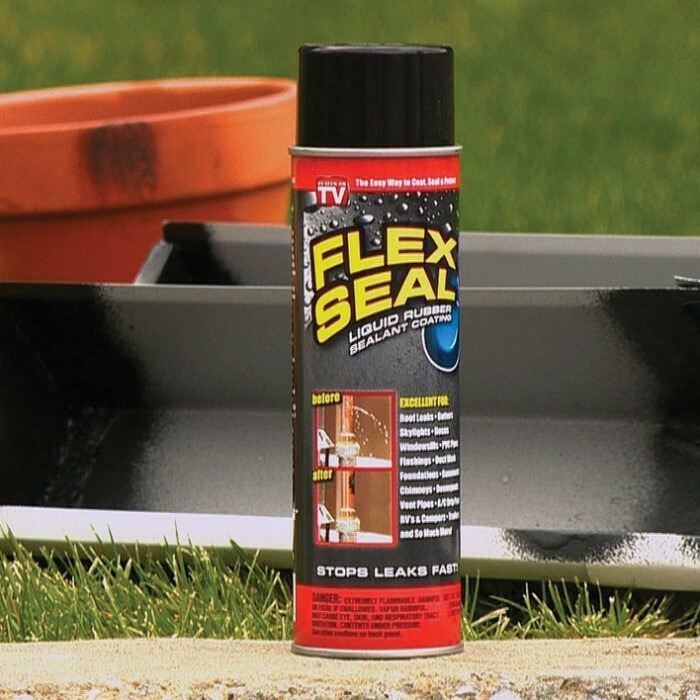 Flex Seal protects surfaces from corrosion and will also stop vibrations and deaden noise.